All our New Houses for Sale in & around Worcestershire. A distinct collection of 2, 3 and 4 bedroom new homes. Each home has been designed in detail for modern lifestyles with high quality finishes. Positioned around a new private driveway, there will be 7 house styles offering a wide choice of accommodation for families, couples and downsizers alike. A stunning collection of 18 contemporary new homes to include Bungalows and Detached Houses which will include a high quality specification as standard and if you reserve ‘off-plan’ you can customise your home and choose from a range of tiles and kitchen cabinets. OUR PREVIOUS NEW HOUSE DEVELOPMENTS IN & AROUND WORCESTERSHIRE. The Fieldings is a delightful development of 11 new homes comprising 2, 4 and 5 bedroom houses including 2 bedroom bungalows. All the homes provide comfort and style with our superb specification. Spring Meadows is a delightful collection of thirty nine, 2, 3, 4 and 5 bedroom homes and bungalows in Drakes Broughton, Worcestershire. The new homes were individually designed to complement their rural surroundings. Built to a high standard with energy efficient materials offering style and comfort, perfect for modern living. 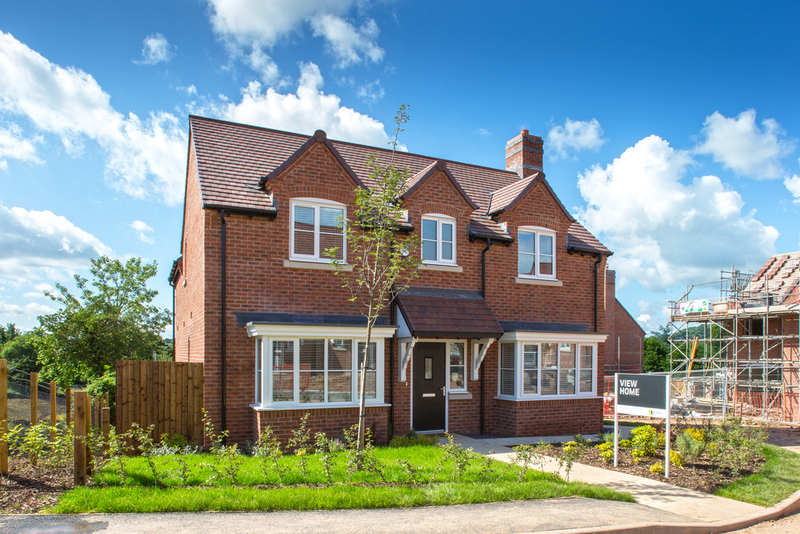 Mercer Grove is a delightful development comprising 2, 3 and 4 bedroom homes close to the centre of Bromsgrove. Built to a superior specification with a range of house types for first time buyers and for those looking to make their next move. The Row is a delightful collection of seven new homes comprising of 3, 4 and 5 bedroom homes and a 2 bedroom bungalow. The homes for sale are carefully designed to reflect modern lifestyles and will be complemented by contemporary, high quality fixtures. 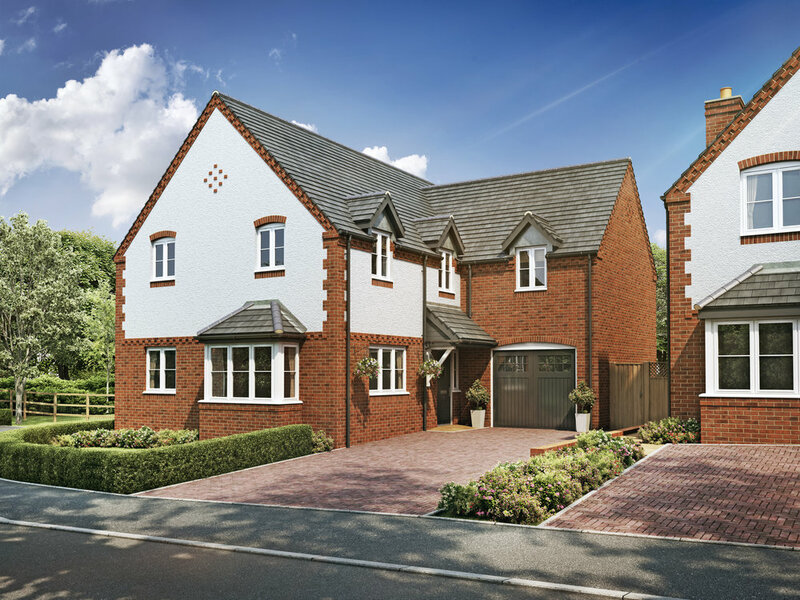 Located in the beautiful village of Martley in Worcestershire, Cherry Grove is a development of 14 new 2, 3 ,4 and 5 bedroom homes, all superbly appointed and built to our exacting high standard of finish. A superb collection of 24 new houses in Bromsgrove with well planned accommodation. The new properties were designed to complement modern living with contemporary fixtures and fittings. Located in the pretty English village of Fladbury, Opal Gate is a delightful development of 11 new homes with a range of 3, 4 and 5 bedroom homes and 2 bedroom bungalows. A beautiful development of seven new houses set around its own driveway. Located in the village of Astwood Bank, surrounded by open Worcestershire countryside and views of the Malvern Hills. Astwood Green is a distinctive collection of just nine outstandingly appointed houses for sale in the beautiful village of Astwood Bank Worcestershire. Arranged around a secluded driveway, these new luxury homes are adjacent to the rolling Worcestershire countryside. A distinctive collection of just seven new houses situated off the High Street and Queen Street in Astwood Bank, Worcestershire. Astwood Bank is a much sought after location in this part of Worcestershire, having superb commuting to Birmingham. A collection of just five, five-bedroom architecturally designed new houses, offering a superb specification and generous living accommodation. Withybed is set on the edge of the picturesque, thriving village of Inkberrow in Worcestershire. These new houses in Worcestershire are a gated development accessed via a private driveway off a quiet country lane close to the centre of the village of Inkberrow. 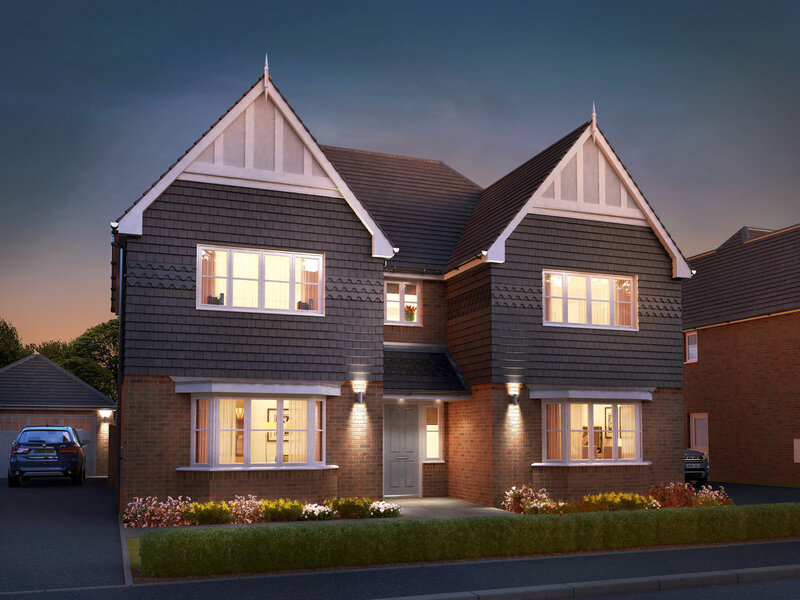 The four luxurious detached new homes feature five bedrooms and three reception rooms. Arranged around its own secluded driveway in a much sought after location, these impressive detached new houses in Astwood Bank, Worcestershire have been designed to the optimum specification and are adjacent to the rolling Worcestershire countryside.